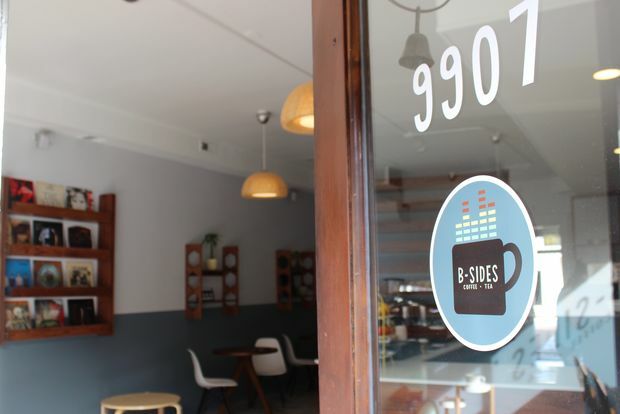 BEVERLY — B-Sides Coffee + Tea will have plenty of vinyl records available for customers to enjoy when it opens at 9907 S. Walden Parkway in Beverly. 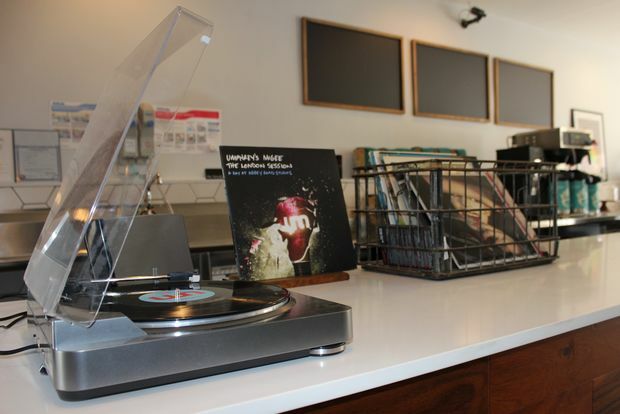 Kevin O'Malley also invites music aficionados with a favorite album at home to bring their own records into the music-themed shop to enjoy with a cup of Metropolis Coffee. "I call that BYOV," said O'Malley, who's helping out at the 900-square-foot coffee shop owned by his wife, Karen. The soft opening until noon Friday is meant to ready the staff and work out any minor issues. The coffee shop will officially open next week with hours from 6 a.m.-3 p.m. weekdays and 8 a.m.-5 p.m. Saturdays. 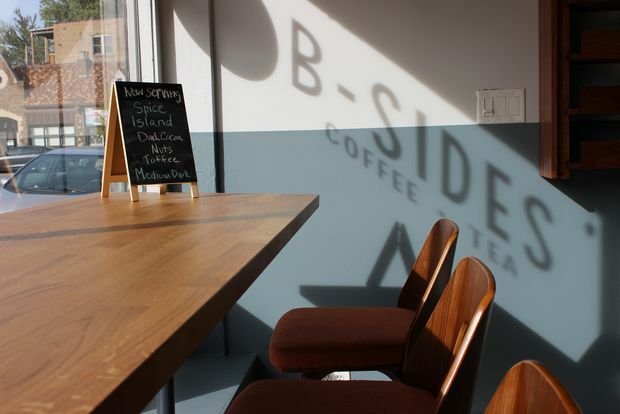 B-Sides Coffee will be closed on Sundays. 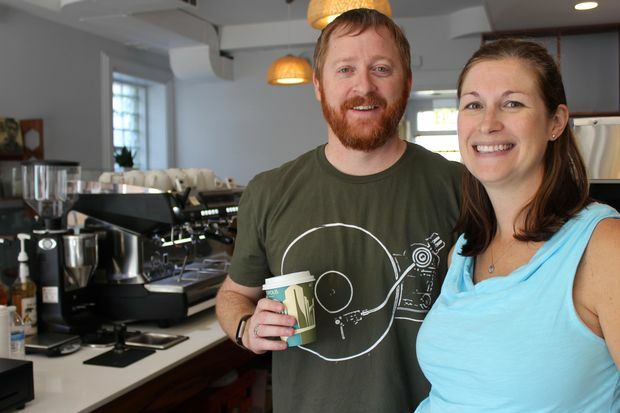 The couple expects to adjust the shop's hours as they settle into their spot in the quaint shopping district at 99th Street and Walden Parkway. 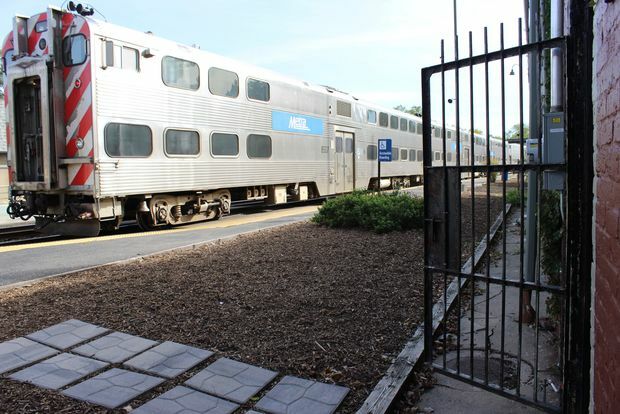 Initially, they hope to cater to commuters using the 99th Street Metra stop. The music-themed coffee shop is designed so customers can enter from Walden Parkway and exit from the back with their drinks to immediately board the train. Besides commuters, the O'Malleys hope that parents picking up and dropping off children at All Day Montessori school as well as customers of Tranquility Hair Salon, Beverly Barre and others will frequent their shop. "It's small, but it is entirely kid-friendly," said Karen O'Malley, who is the president of the business and handling day-to-day operations. She pointed to a kid-sized table and several games available for those interested in bringing children into the shop. The coffee shop will sell the popular North Side brand of coffee as well as Rishi teas. The menu will grow over time, but immediately staples such as cappuccino, latte, espresso, red eye and Americano will all be available. There are a few grab-and-go food items available for the opening, but the O'Malleys promise more of such items — should food prove to be popular. The dream of owning a coffee shop filled with vinyl music officially began when the O'Malleys took over former Figlia Boutique June 1. The gift store operated near the commuter train tracks for six years. "It's exciting that [opening day] is here, because a lot went into this," Kevin O'Malley said. He added that his own record collection was given a substantial upgrade with the help of his late uncle, Denis O'Malley. Upon his death, he passed down his extensive record collection to the shop. The O'Malleys are eager to delve into these stacks along with customers, and said pairing albums with coffee is a throwback that invites patrons to slow down for a bit and enjoy the moment. "There is something to be said about vinyl in this digital world," Kevin O'Malley said.